Ticks are intelligent, unpleasant parasites, but more importantly, they can be dangerous. Infected ticks can carry bacteria that can cause over 10 tick-borne illnesses. Of those 10, one of the most well-known is Lyme disease, a bacterial disease that is transmitted by blacklegged ticks. Most cases of Lyme disease can be successfully treated with antibiotics, but you should always take steps to prevent Lyme disease when possible. If left untreated, Lyme disease can spread to the heart, joints, and the nervous system. The best way to prevent Lyme disease is taking measures to avoid tick bites, and if you are bitten by a tick, making sure that you safely remove it as soon as you find it. If you do find a tick, you should remove it as soon as possible and begin to monitor the location around your bite. Watch out for a rash, extreme swelling, or spreading redness. 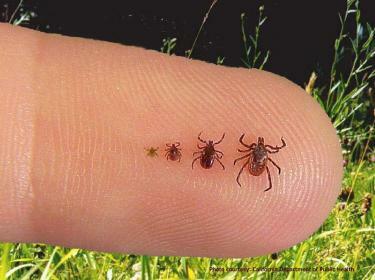 If you are at all concerned or need help removing a tick, please come to FastMed Urgent Care right away. Our healthcare professionals can evaluate your symptoms to determine if they are typical to Lyme disease. For patients with atypical symptoms, blood tests may be used to diagnose Lyme disease in some cases. FastMed has on-site labs, so we can administer blood tests and get quick results. You can walk in to our clinic with no appointment and our goal is to get you in and out within an hour.